Between 31 May and 2 June 2005, GlaxoSmithKline organised a Conference in Brussels bringing together around 90 attendees, mainly representatives from patients' organizations, from 20 countries. The focus was on aspects of healthcare in Europe, with training and networking opportunities. From this meeting came the idea of setting up a network of organisations driven by People Living with HIV and AIDS (PLWHA) as there was no network for HIV patient organisations in Europe. There is a network for individuals of PLWHA, the Global Network of People Living with HIV, but there wasn't one for patient organisations. 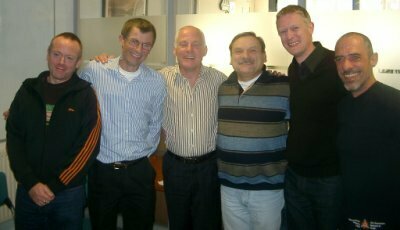 The group of representatives of HIV patient organisations decided to meet again in Copenhagen in conjunction with the NordPol board meeting and Abbott conference in September 2005. NordPol is a network of HIV patient organisations in the Nordic countries. With organisations invited from elsewhere in Europe the decision was made, to take the idea of a European Network forward. HIV Europe became a reality in London in December2005. Member of the European Parliament, Michael Cashman, MEP, joined those present at the London meeting to toast every success to HIV Europe. It was agreed that the intention was to be as inclusive as possible, that nowhere was it to be assumed that membership was only available to national organisations; local and regional groups would also be welcomed. HIV Europe continues as a network of organisations, but at a meeting in Lisbon in 2010, the members agreed formal statutes that created HIV Europe as an organisation in it's own right under Danish law. The statutes of HIV Europe are available to download here.